The community came together at Aaniin Community Centre and Library for wheelchair basketball and a host of other activities, while cheering on Canada’s athletes in preparation for the 2019 Canada Winter Games. The City of Markham was a celebration stop on the MNP Canada Games Torch Relay, which began its run at the Centennial Flame on Parliament Hill in Ottawa earlier this fall. The torch will visit more than 40 communities across Canada before arriving in Red Deer, Alta. for the opening ceremony of the Games. 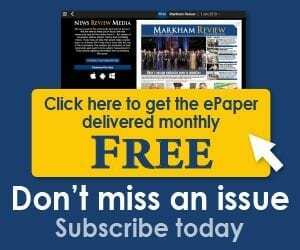 The Markham ceremony, held Oct. 12, included wheelchair basketball, with the Ontario Wheelchair Sports Association, and life-size chess and checkers. Visitors could also take their picture with the Canada Games torch. 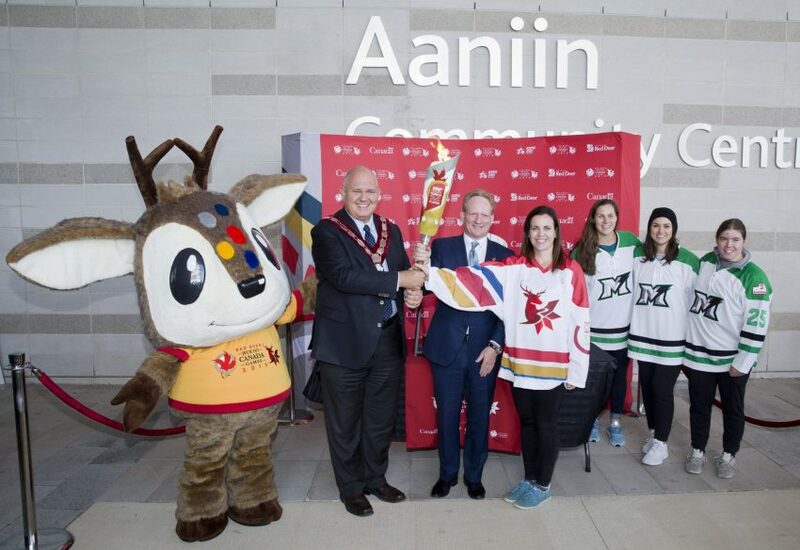 “Markham is proud to host one of the first celebration stops of the MNP Canada Games Torch Relay and the Aaniin Community Centre and Library is the perfect place for us to come together, show our Canadian pride and cheer on the athletes on their road to Red Deer,” Mayor Frank Scarpitti said. The Canada Winter Games is the largest multi-sport and cultural event for youth in the country and features more than 150 events in 19 sports. Up to 3,600 athletes will compete at the event, which runs from Feb. 15 until March 3.